Product prices and availability are accurate as of 2019-04-25 08:30:40 EDT and are subject to change. Any price and availability information displayed on http://www.amazon.com/ at the time of purchase will apply to the purchase of this product. Product Features:. 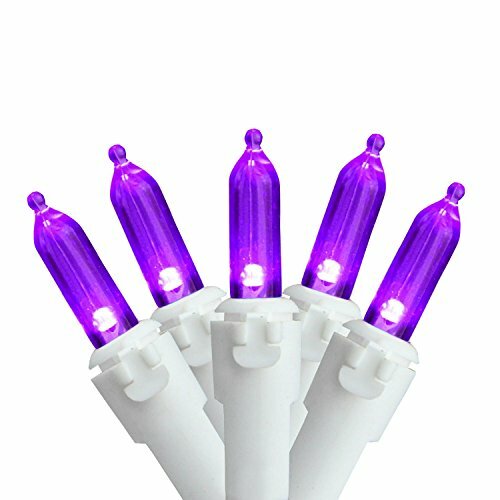 Color: purple bulbs / white wire.. Number of bulbs on string: 50.. Bulb size: LED mini.. Spacing between each bulb: 4".. Lighted length: 16.25'.. Total length: 17.5'.. 12" lead cord.. 3" tail cord. Additional Product Features:. LED lights use 90% less energy.. Durable non-glass replaceable bulbs.. Cool to the touch.. UL listed for indoor or outdoor use.. If one bulb burns out, the rest will stay lit.. 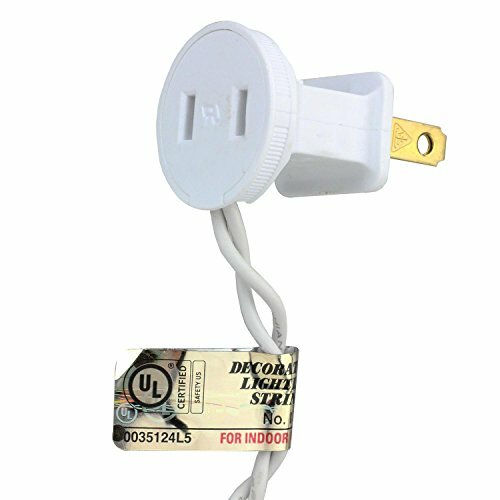 Lights are equipped with Lamp Lock feature, which makes them replaceable, interchangeable and keeps them from falling out.. Comes with replacement bulbs and spare fuses.. Contains end-to-end connectors which allows you to connect multiple sets together (not to exceed 210 watts).. Wire gauge: 22.. 120 volts, 60 hertz,.04 amps, 4.8 watts.